Jule, the newborn elk at Hanau Wildpark (some 30 kms [18mls] east of Frankfurt), explores its spacious enclosure, June 9. 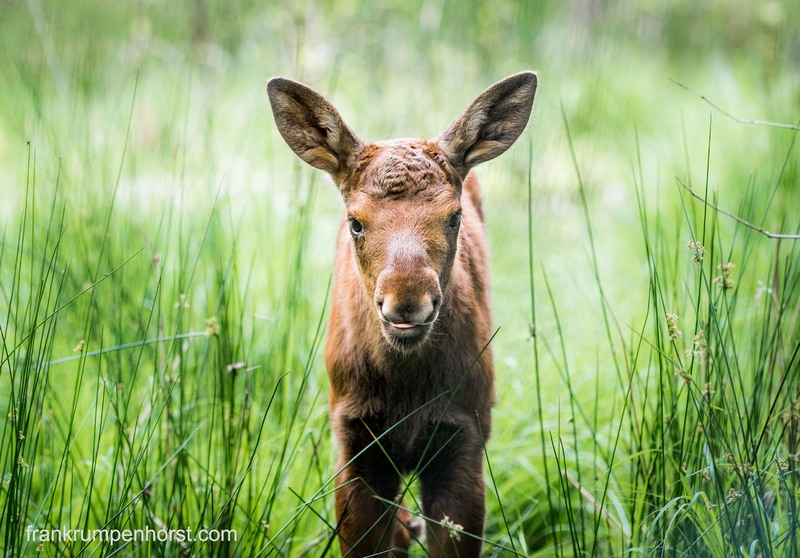 This entry was posted in animals, germayn, nature, Photo, Photography and tagged animals, baby, deer, elch, elk, hanau, nature, newborn, wildlife, wildpark. Bookmark the permalink. What a sweet smiley face 🙂 How did you manage to capture it without mother in sight?